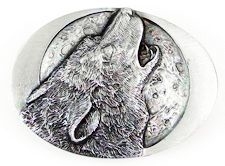 This wolf head howling at the moon belt buckle is made in the USA from 100% lead free pewter. There is extraordinary detailing and 3-D dimension in this buckle. It looks even better in person than it appears in the photo. Pewter holds up great for everyday wear. This buckle measures 3 1/4" x 2 1/4" and fits belts up to 2" wide. 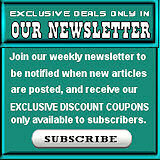 This fine pewter belt buckle can be shipped internationally.